Before we get an official “Celtics” themed Nike Kyrie 3, Nike Basketball will be releasing another “University Red” iteration. This release comes dressed in a mix of University Red and Wolf Grey scheduled to release at the end of September. 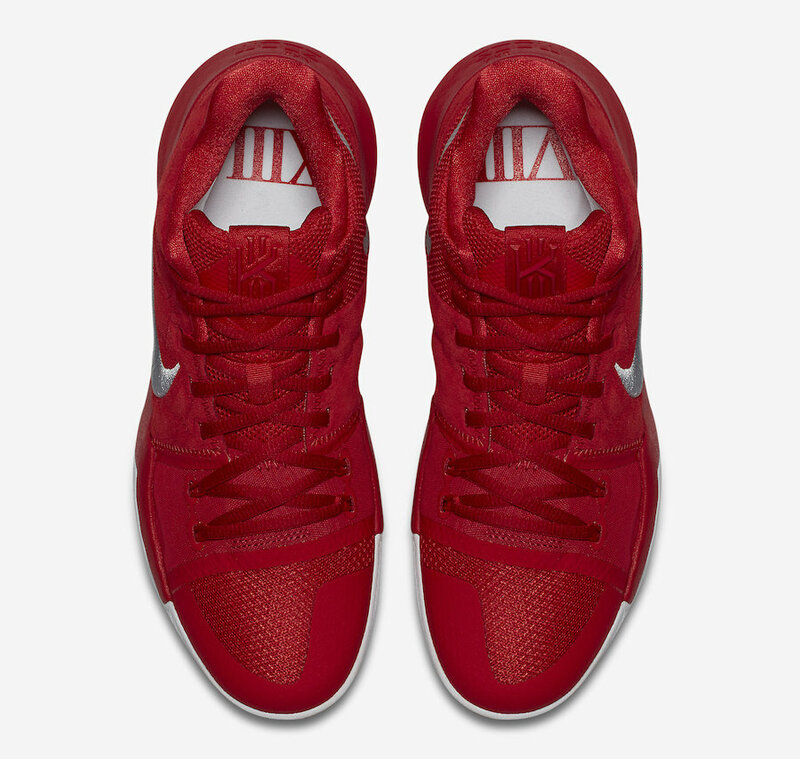 Its University Red upper comes constructed in suede with a quilted pattern revealing Kyrie Irving’s signature embossed throughout. An embroidered Nike Swoosh in Wolf Grey adds for a nice premium touch, while sitting atop a White rubber sole. 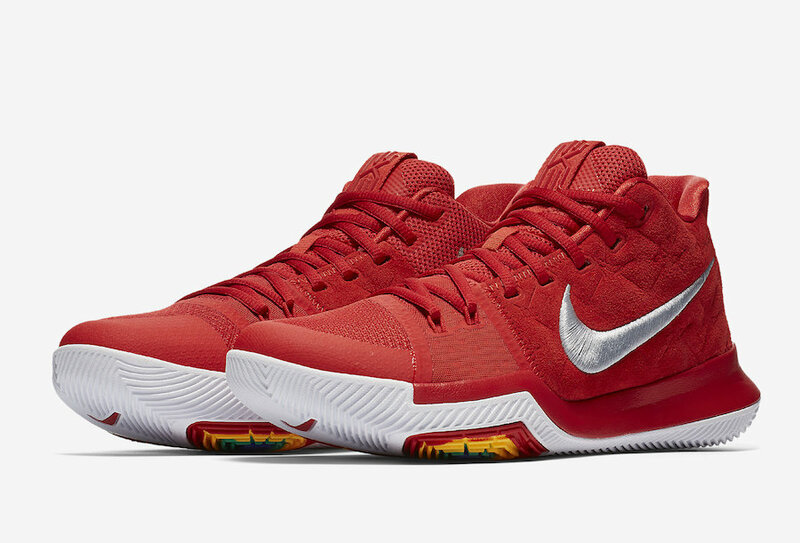 Look for the Nike Kyrie 3 “University Red” to release on September 30th at select Nike Basketball retailers and Nike.com. The retail price tag is set at $120 USD.